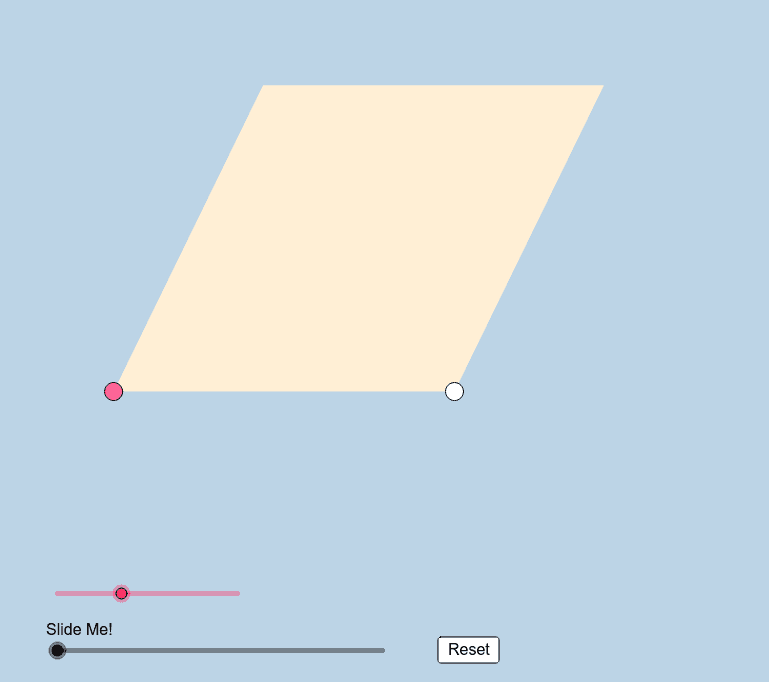 Take a few minutes to interact with the GeoGebra applet below. After doing so, please answer the questions that follow. Note: The pink slider controls the size of the angle with pink vertex. What is the measure of the purple angle? How do we know this to be true? Suppose, in the applet above, the segment with single-tick label has a length of 3 cm. Suppose the segment with the double-tick label has a length of 8 cm. What would the area of this entire rhombus be?